The team here at Starwood appreciates the sacrifices that the men and women who serve our country make to protect us and all that we care about. That’s why we started Wheelin’ For Warriors. It’s a great way to raise money for a great cause that supports veterans—Operation Once in a Lifetime. It’s almost time for this year’s festivities so don’t miss out on this exciting, family-friendly event. Tickets are available now. Not only does this event raise money to help veterans, it’s a ton of fun! The event will take place Saturday, November 11 from 9 am-5 pm at Northwest OHV Park, which is off State Highway 101 in Bridgeport. Starwood Motors is hosting this event in conjunction with the North Texas Jeep Club in honor of Veteran’s Day. We love our custom built Jeeps here at our Dallas dealership, and this is a great time to show what you can do. Donations are accepted for the event and there is even a raffle put on that goes towards Operation Once in a Lifetime. The best part is, you don’t have to be present to win so make sure you enter today! But why miss out on all the free wheelin’ action that will be going down this year? Check out the video above to see how awesome last year’s event was. Admission is free to the public and you’ll get to see talented off-roaders tackle some treacherous terrain. We’ll have Northwest OHV park rented out completely. If you’re a Jeep aficionado, this is a great event to check out because you can see the latest mods. We’re even offering a special deal on Jeep service at our Dallas service center if you’re looking for modifications. We’re doing a Buy One, Get One Free discount on shop labor up to $250. 20% of your purchase will go to Operation Once in a Lifetime. Join us on Saturday, November 11 from 9 am-5 pm at Northwest OHV Park for Wheelin’ For Warriors 2017. 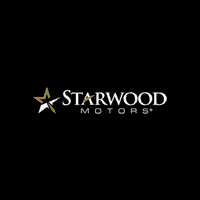 Contact Starwood Motors if you have any questions or just give us a call at (800) 348-9008.